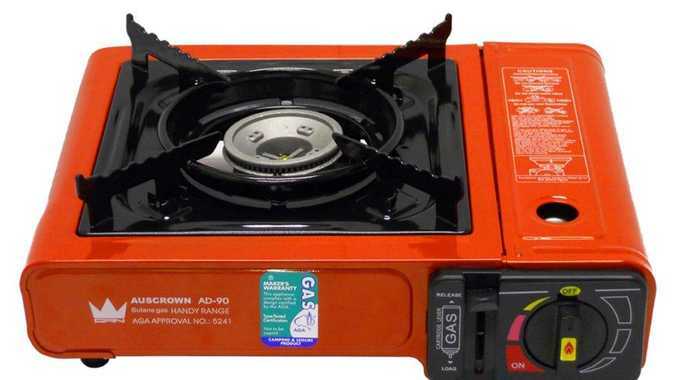 Gas cookers similar to these have been recalled for safety reasons. CONCERNS are mounting that hundreds of campers may unknowingly be holding on to a ticking time bomb. Following an explosion at Pink Lily on Friday involving a butane gas cooker it was revealed the item was the subject of a safety recall. A warning for dozens of the portable butane "lunch box" style cookers was first issued by the ACCC in March, followed by a nationwide recall. One of the key faults related to the safety release, which "ejects" the butane canister if it gets too hot. This can happen if it is left in direct sunlight, or if an oversized pan reflects heat back onto the canister. Paul Waardyk, a Rockhampton man who was flown to Brisbane Hospital after the explosion, is still in a stable condition. A second man was injured but later discharged. As Paul continued to recover yesterday, more Rockhampton residents rushed in to stores to exchange their own model of the faulty cooker which left him with facial burns. 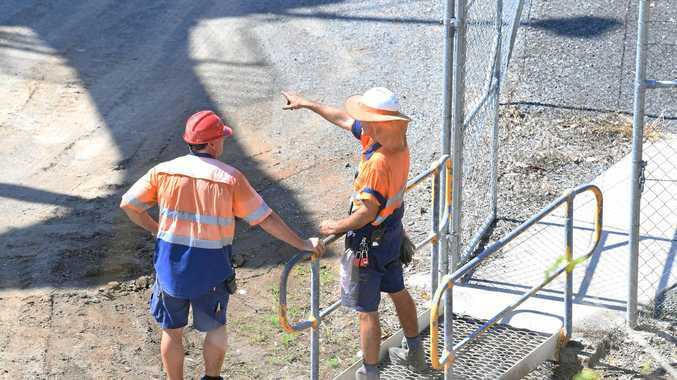 The Minister for Natural Resources and Mines, Dr Anthony Lynham, put out another warning, and said his thoughts were with the injured men and their family and friends. "We don't want any more accidents like this," he said. "The cooker which exploded at Pink Lily was one of many types of these cookers which were recalled nationally earlier this year. "Unfortunately we believe there are many more of these faulty cookers in sheds, garages and caravans around Queensland." Dr Lynham said there were many people who would have used these cookers in the aftermath of the Rockhampton cyclone when power was out. "Please check the gas cooker in your shed, your boat or your caravan against our list of models that have been recalled," he said. Dr Lynham urged people to stop using anything named on the list and to dispose of it safely. "New safe models of these cookers went on sale last week." Any used butane canisters should be disposed of in the appropriate bins at council waste or recycling centres. If there is no longer a certificate or label on the cooker, check with the manufacturer or contact the Queensland Government on 13QGOV. View the full list of brands, and the relevant certificate numbers and appliance model numbers, at dnrm.qld.gov.au by following the link to butane gas cookers.